A few comments in response to an earlier Otaku Blog post of mine about gender inequality in Japan prompted me to think about how many women work behind the scenes in the anime industry… the short answer being, depressingly few. Even fewer are the number of women involved in the industry who take the leading role in directing; a brief internet search will tell you that prominent figures within this business are almost exclusively men. This is not to in any way discount the effort being put forth by female manga and storyboard artists, character designers, animators, composers, and the myriad of other important jobs in the anime creating process, on a regular basis. Nor is it my intention to knock any of the work by notable male personalities within the industry. However, it’s an undeniable fact that female anime directors are extremely scarce: this rather handy blog post informs me that 2013 was a record year, in that the number of anime titles directed by women came to a total of twelve (up from the previous record of six in 2008). Just to give that number a little perspective, there were roughly 150 televised anime titles released in 2013. Even taking into account that some of these must have been second or later seasons of older anime, that still seems a rather ridiculous discrepancy. But that’s not actually the point of this article. Instead, I thought it might be nice to write a blog post in celebration of some of those talented ladies who are known – if not yet well – for sitting in the directors chairs. Obviously this is not a comprehensive list; I simply chose a few of the people who I think have been doing especially noteworthy or promising work, in no particular order. In charge of key animation and storyboarding for the likes of Full Metal Panic! The Second Raid, Air, and The Melancholy of Haruhi Suzumiya, Yamada has also branched out into episode and general directorship – she was behind individual episode direction on Free!, Hyouka, Nichijou, and both seasons of Clannad, and has also been the director of the entirety of K-On! 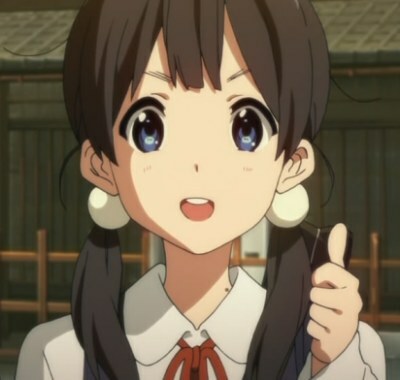 and Tamako Market. As you may be able to tell from these titles, Yamada has worked exclusively for Kyoto Animation thus far; a talented studio that’s been putting out some of the most iconic moe anime shows since the mid-2000s. Like Yamada, Utsumi has stuck firmly to KyoAni over the years, working as key animator in Clannad, K-On!, Lucky Star, and Haruhi Suzumiya, and also as episode director for Hyouka, Nichijou, and Love, Chunibyo & Other Delusions!. 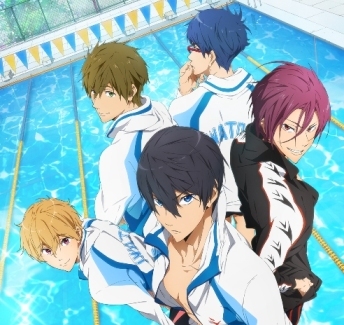 Although not quite as long a resume as Yamada’s just yet, Utsumi’s most recent job as director in charge for the undeniably popular Free! bodes well for her future endeavors. The second season, due to be televised in July, will continue under her leadership. Arguably the most well-known female anime director in the industry, Kon has done plenty of storyboarding – Bleach, Chihayafuru, Midori Days, Arakawa Under the Bridge x Bridge – as well as having one of the largest number of anime titles directed by any woman under her belt: both seasons of Higurashi: When They Cry and Umineko: When They Cry, the second and third season of Nodame Cantabile, all of boys love shows Junjou Romantica and Sekai-ichi Hatsukoi, and most recently, 2013’s Golden Time. Easily another of the more well-known females in anime directing, Ishizuka graduated from the Aichi Prefecture University of the Arts and has worked with Madhouse – one of the leading production companies in the world – since 2004. 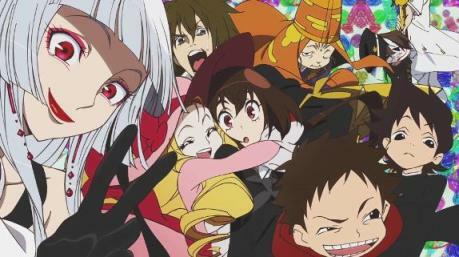 Her talent as an animator led Madhouse to promote Ishizuka publicly, with her artwork for both Monster and NANA being particularly well regarded. 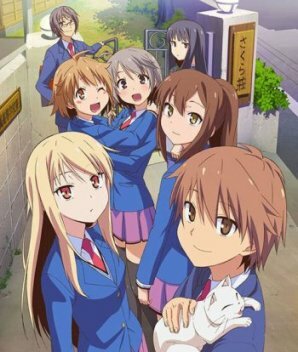 She was also the assistant director for NANA, one of two co-directors for Supernatural: The Animation, and full director of Sakurasou no Pet na Kanojo. Her next project, due to be released very shortly, is the fantastical comedy No Game No Life. Another Madhouse-affiliated director, Yamamoto began work at the studio at the age of 25 after graduating from the College of Art and Design in Tokyo, with her debut as a storyboarder for X. She continued her storyboarding work in the years to come, and first began directing as a guest for 2002’s Dragon Drive. 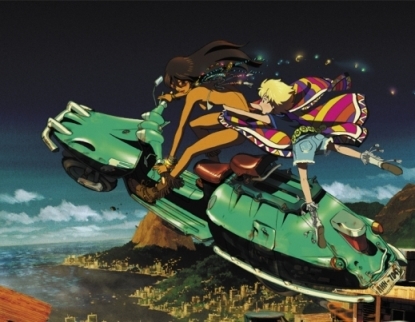 Since then, she has also been episode director for some very high profile anime including Texhnolyze, Gunslinger Girl, Samurai Champloo, Eureka Seven, and Ergo Proxy, and in 2008 was the sole director for the critically acclaimed Michiko to Hatchin – a series which Yamamoto hoped would especially appeal to other women. In 2012, Yamamoto was given full direction and complete creative control over Lupin III: The Woman Called Fujiko Mine, which was named one of the best anime of its year by Otaku USA. Relatively new to the game, Yoshimura has mostly worked in storyboarding and individual episode directing for anime including Gintama, Oreimo, Gatchaman Crowds, AnoHana, and the second season of Kuroshitsuji. 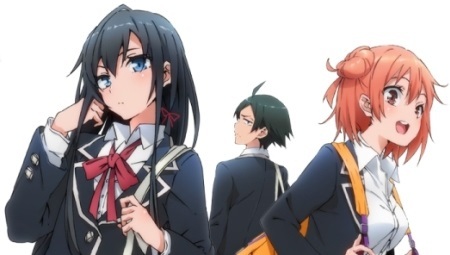 However, she was also sole director of the recent My Teen Romantic Comedy SNAFU, and is now set to direct the upcoming school drama Ao Haru Ride. Sayama’s extremely long list of credits speaks for itself, as does the number of years for which she has now been directing. 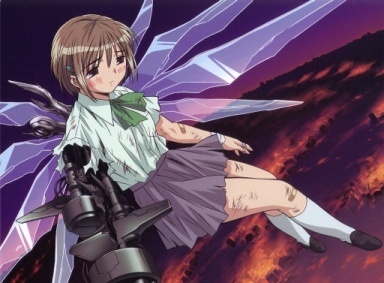 Although also working extensively in storyboarding for titles such as Ai Yori Aoshi, Chobits, Death Note, Blood+, Toaru Kagaku no Railgun S, and Blood Lad, her first foray into directing was in 1995 for the Miyuki-chan in Wonderland OVA, followed by Angel Sanctuary in 2000. Since then, Sayama has also directed Pretear, both seasons of Vampire Knight, Skip Beat!, and Brave 10. Another woman to have done ample work in the storyboarding department, Kase’s most prominent work in this area has been for the likes of S-CRY-ed, InuYasha, Deadman Wonderland, and the third Hayate the Combat Butler series. However, her first job as co-director was in fact before any of this, in the 1987 Bats & Terry film. Needless to say, Kase has directed other anime titles since then – mostly notably SaiKano, but also Ristorante Paradiso and Glass Maiden. Sometimes also credited under the name Hayashi Yuki, Kosaka has done a lot of work on both the storyboarding and episode directing side of things for Sailor Moon, One Piece, Pandora Hearts, Natsume Yuujinchou, and Baccano!, to name only a few of the better known titles. Kosaka’s first job as full director was for the Make-Up! Sailor Senshi OVA in 1993, although she has also directed the Saint Beast OVA, and televised shows Kaze no Shoujo Emily and Gokujou!! Mecha Mote Iinchou. Last but not least, one of the newest faces on the scene. Matsumoto has served primarily as episode and assistant director up until now for the Pretty Cure metaseries, but in 2011 and 2012 was given full directorship of the very well-received Kyousougiga. While there has not yet been any more news as to Kase’s future work, it seems probable that we can expect more from her – most likely in relation to other Toei Animation studio titles. Question of the post: Are there any other female directors that you think deserve a special mention? 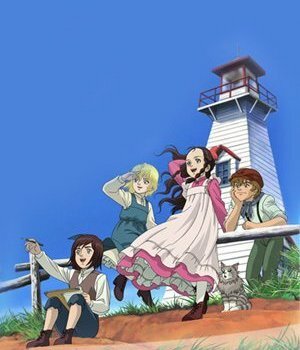 Have any of your personal favourite anime titles been directed by women? This entry was posted in anime, gender. Bookmark the permalink. Whoa, these are some seriously depressing numbers. On the other hand, a lot of my recent favorites are listed here: My Teen Romantic Comedy, AnoHana, Chuunibyou, Nichijou, not to mention classics: Clannad or Suzumiya… Unproportionally many! Yup, the numbers certainly don’t speak well for the male to female ratio of anime directors. While this does seem to be (very slowly) changing. I honestly doubt that we’ll ever see the Japanese anime industry with anything even approaching a proper balance. This doesn’t stop me from hoping, however. You got all the major ones. I would add Noriko Takao, who directed the Saint Young Men OVA and movie, and was episode director on some of the best episodes of the iDOLM@STER. Soubi Yamamoto, Mitsue Yamazaki and Kaori probably deserve a mention too. 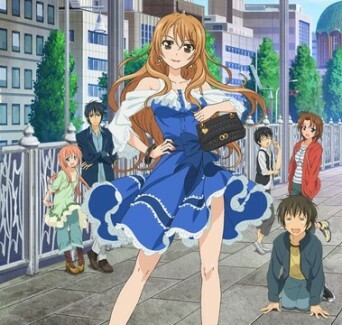 Saori Shiroki is the most prominent woman in indie anime, but she is really young. 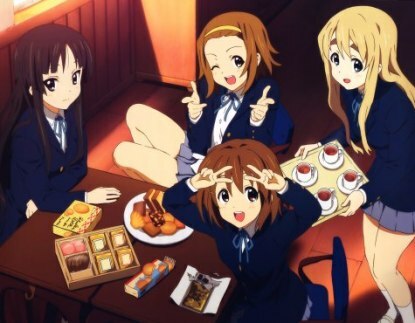 It’s depressing that anime has a skewed gender ratio, but things are definitely improving. I mean looking at this list, most of these women started directing relatively recently. Rie Matsumoto is getting some buzz, having directed one of the best shows of 2013, and Naoko Yamada is beloved by the anime community. I have hope. I never watched iDOLM@STER, but yup, I know all of those names. It’s a little depressing when you realise that every woman who’s ever directed any anime probably deserve a mention solely because of their gender. But you’re right – things are improving, albeit very gradually. Most of the women on this list are indeed relatively new to the industry, and like you, I have hope that they will be joined by more in the future. Noriko Takao is debuting as series director for the Idolm@ster Cinderella Girls anime adaptation in 2014. That’s a pretty big project, the spin-off has turned into a fairly huge franchise on its own. I knew the number of female staffers was low, but the numbers are just really depressing to look at. Hopefully it’ll be somewhat different in a decade when the equally entrenched culture of seniority favors the female staffers who are working hard now. Yeah. I had an inkling of the numbers before I started writing up this article, but actually seeing them properly like this really doesn’t speak well for the anime industry and gender balance. But that’s a good point, and one that I think should be remembered – despite the fact that change is slow to occur with these things (particularly in Japan), it will (assuming it hasn’t already) become necessary to bring more female staff on board if new anime is to be continually created at it’s current rate. I’m unfamiliar with most of the shows mentioned here, and almost none of the directors themselves. I’m going to have to change that in the future. However, I will say that Kyousogiga is currently one of my top favorite anime, and I have very high hopes for Matsumoto’s future works. Until then, I will make it a point to try and watch some of these series in the future (a couple were already on my to-view list.) Thanks for the article! I thoroughly recommend Michiko to Hatchin in particular, which I plan on reviewing properly on Otaku Lounge sometime shortly. Likewise though, I also quite enjoyed Kyousogiga – not one of my top favourite anime, but definitely one I could respect and appreciate a lot. I wish to get in touch with someone that can do a anime for me. i have the story line plots and am Working on the First season. Just need someone to work with me. I’m afraid I can’t help you at all there. I’m just a blogger. I recognize that you did miss some names, there is Sayo Aoi who did pretty good job on her Zankyou No Terror episodes and she will be directing a new show airing this fall, Kotono Watanabe is worth mentioning at least for her unique fetishes. Akemi Hayashi, Shouko Nakamura and Eunyoung Choi are tree really fantastic female directors who never directed their shows. Though it is sad to see how male dominated the entire anime industry is, the number of female directors is still bigger than what you would find in Hollywood. And with the recent and sudden increase of material catered to female fans, those numbers will only increase. Oh, definitely – as I already stated near the top of the article, this is by no means a complete list of names. And I agree that the number of women directors within the anime industry is increasing, albeit quite gradually – although I don’t necessarily think it’s because of the recent increase of material that caters to female fans. 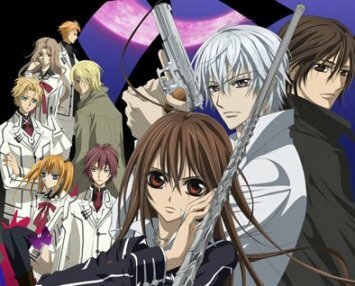 The BL genre, for example, has been around for some time now, but the vast majority of BL anime titles are still directed by men. Ditto for other genres that are primarily targeted towards female fans such as reverse-harem and shoujo drama/romance. You wouldn’t happen to have contact info for any of these directors would you? I’m looking for a female anime director to direct a music video for an artist at the label I work for. Thanks! No, sorry. Some of these women are on social media though. Your best bet would probably be Twitter.